One of the primary reasons for this skewed male to female student ratio is because majority of IIM students are from engineering schools. Things are not looking up for the top Indian Institute of Managements in terms of gender diversity. These B-schools have failed to meet their short-term target of female student enrolment. In the 2018-20 batch, IIM Kozhikode, IIM Ahmedabad and IIM Calcutta have only managed to bring in 26% female students, while it was 30% in the previous batch. IIM Bangalore fares only slightly better with 28%, a share that has remained unchanged for three years now. The only school meeting the target is Indore with 39%. That also, however, is a dip from the previous year's 41%. Most of the IIMs had set a target to induct 30% women. Sumanta Basu, Chairperson of Admissions at IIM Calcutta said that when that target is met consistently for a couple of years, they would aim for a higher target. One of the primary reasons for this skewed male to female student ratio is because majority of IIM students are from engineering schools. Now, engineering colleges have a worse ratio that seeps into these schools. "From classroom to boardroom, the ratio of women plummets. Institutes outside India have much better gender ratio," said SV Nathan, chief talent officer at Deloitte India, as mentioned in a report in The Economic Times. To pull up the number of female students, IIM Kozhikode even rolled out higher weightage for female candidates. The result was that women filled up half the seats. However they could not sustain it, and the number fell to 30% before falling to this year's 26%. To improve the intake of female students in Indian Institute of Technology that further impact the number of women in IIMs, the government has ordered the IITs to ensure that 14% of their seats go to women in 2018. Most of the IITs have been able to meet that target. Companies, too, want more women as they are trying to improve their gender diversity. Rajeshwar Tripathi, Chief People Officer at Mahindra & Mahindra said that their intake of female employees is more than the percentage of women at the IIMs. 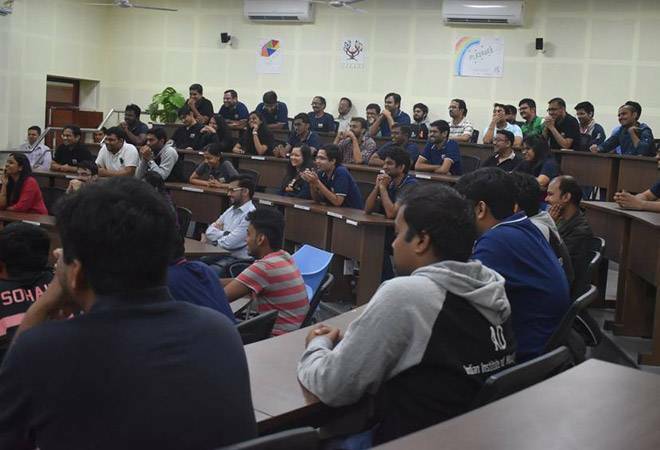 IIM Ahmedabad is looking for a way out of this cycle by introducing changes in their admission criteria to include more women as well as students from diverse academic backgrounds. At IIM Kozhikode, gender diversity is not only at stake. Their academic diversity is also on the decline. Only 9% of students are from non-engineering background, as compared to the previous year's 13%. IIM Calcutta, on the other hand, has done better than last year in terms of academic diversity. Last year only 8.6% students were from non-engineering background. This year it is 12.53%. They also said that they have fared better when it comes to gender diversity from previous years when it used to be around 10%.